Berexco LLC is a Corporate Partner with the University of Kansas School of Engineering. Berexco provides annual funding for a full in-state tuition scholarship to a high achieving incoming sophomore or junior pursuing a petroleum engineering degree at the University of Kansas School of Engineering. Berexco also provides annual funding for a $3,000 per year scholarship to a high achieving incoming freshman pursuing a petroleum engineering degree at the University of Kansas School of Engineering. For further information, please contact Russ Ostermann, KU Engineering Program Interim Director, at russo@ku.edu. Berexco LLC provides annual funding for a full tuition, four semester scholarship/fellowship to a high achieving incoming junior pursuing a Bachelor of Science degree in Geology or a first year graduate student pursuing a Masters degree in Earth, Environmental, and Physical Sciences, both with a concentration in petroleum geology. 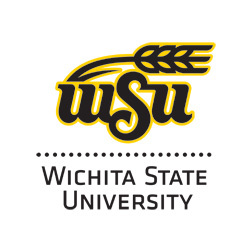 For further information, please contact the Scholarship Coordinator for the WSU Fairmount College of Liberal Arts and Sciences at 1845 Fairmount, Wichita Kansas 67260-0005. Berexco LLC provides annual funding for a full in-state tuition scholarship to a high achieving incoming sophomore or junior pursuing a Bachelor of Science degree in Geology with the petroleum track option at Fort Hays State University. For further information, please contact the FHSU Foundation at (888) 628-1060.